Cognac Jean Fillioux Tres Vieux "XO Extra" – 40% : a very beautiful Grande Champagne Cognac of the purest tradition. 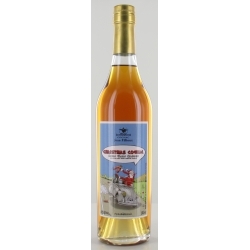 TRES VIEUX Cognac Jean Fillioux – 40% : a very beautiful Grande Champagne Cognac of the purest tradition. It’s the image of our family cognac house “ Jean Fillioux” and our leader. 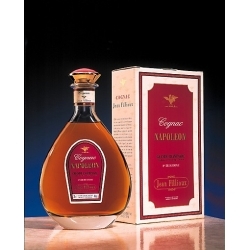 Very appetizing cognac, powerful but elegant, very full. Vanilla aroma explodes on the nose and on the palate. Noble cognac with some notes of candied fruit, orange marmalade, quince, pear. Surprising very long finish with spicy notes coming through. It’s the perfect end-of-evening companion to offer your friends. A pure Fillioux-family product. 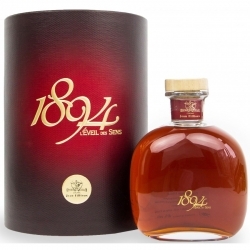 Cognac Jean Fillioux 1894 l'Eveil des Sens – 41% - 1 liter - Grande Champagne Limited edition ! There are only 64 bottles of this nectar aged 60 to 70 years old, all reserved, including 1 at La Cognathèque !! 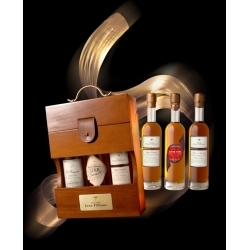 Cognac Jean Fillioux Vintage 1953 Grande Champagne – 42% : Limited edition, Private Collection... Kendo bottle in its precious box in solid oak!